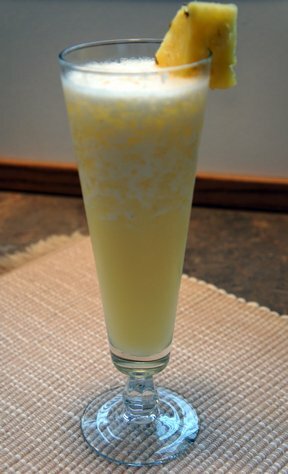 Cool and refreshing, this Pina Colada Slush is a great summertime cocktail. 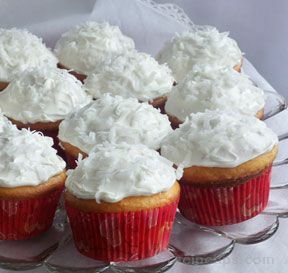 It is perfect for setting around the pool on a hot summer afternoon but you can treat yourself to this delicious treat anytime throughout the year. In a saucepan, add the water and sugar; bring to a boil. Add the jell-o and stir until dissolved. Pour this mixture into a 5 quart ice cream pail or container equal in size. 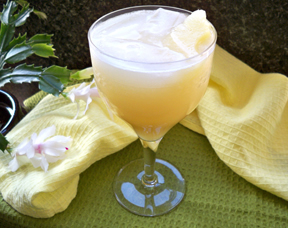 Add the pineapple juice, lemon juice, and coconut rum. Stir to mix and then place the pail in the freezer until frozen. To serve, remove the slush from the freezer and allow it to stand at room temperature for 5 or 10 minutes to make it easier to scoop out the slush. Once it has softened enough to scoop, fill a glass half to two-thirds full of slush and then fill the rest of the way with Sprite or 7-up. Return the slush to the freezer and store there until you are already to use again. 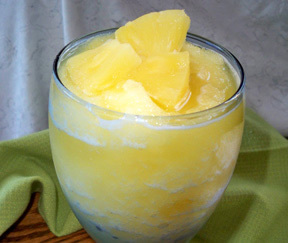 "I made this slush for some lady friends and they thought it was great. It will be perfect for around the pool this next summer."